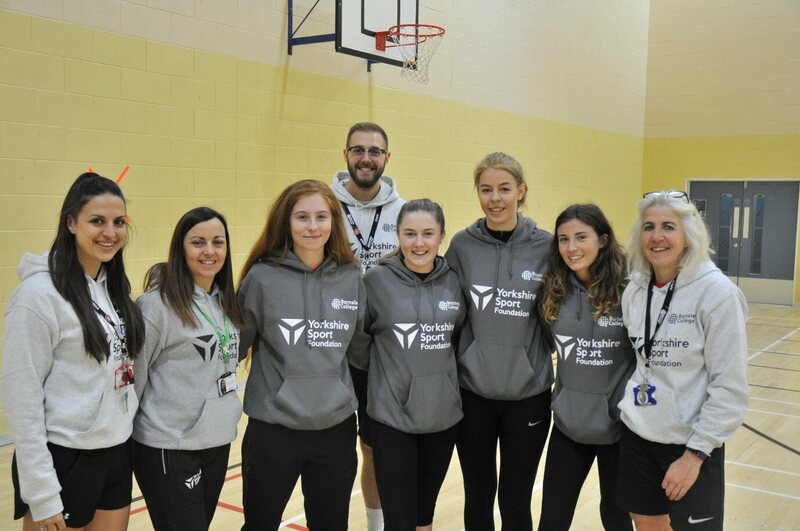 Our Sport students have organised and officiated The College Games, a regional sport tournament in partnership with Yorkshire Sport Foundation and Association of Colleges (AoC). Students from Barnsley College were joined by students from Sheffield College, Rotherham College and Doncaster College to take part in the tournament. The sessions were arranged by Level 3 Sport students as part of their course which requires them to officiate sport sessions. The tournament, held at the College’s Sports Academy, included football, dodgeball, volleyball and badminton. The event was aimed at providing opportunities for young people to get involved in sport and physical activity. Debra Cummins, Development Manager at Yorkshire Sport Foundation, added: “Through the Sport England funded satellite clubs project, we want to get more 14 to 19 year-olds active.